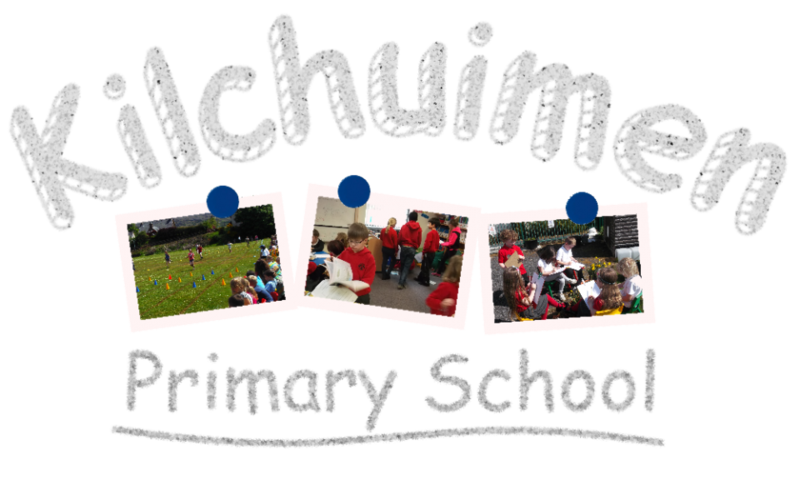 Blog | Kilchuimen Primary School | Welcome to Kilchuimen Primary School blog. Last week we had a full timetable of water related activities, from basic hygiene to water safety, the water cycle and our human right to have access to clean water. The idea behind this is that the children experience a very broad range of activities and have the chance to really study water in detail. The classes were grouped so that each lesson had Primary 1 children all the way up to Primary 7 children. Later, we rolled our eggs. Our assembly had an Easter theme this week. P1/2 did a little play to show us what Easter is about. We looked at all the finely decorated eggs and we had some Star Writers, Achievement Leaves and Head Teacher Awards. We also received our certificates from the Lochaber Music Festival. On Friday 24.03.17 pupils from the nursery, the primary and the secondary took part in Red Nose Day. We had children wearing red, children dressing up, teachers wearing red or dressed up, a bake sale and a primary talent show. We managed to raise a fantastic £212.17 for this good cause, well done everyone. Thanks too, to any parents, family or friends who sent in baking, it went down a treat. Steve Frew, a Scottish Commonwealth Games gold medallist and Sky Living for Sport mentor, visited the school again on Friday this week to give children throughout the campus amazing gymnastics coaching sessions. On Friday 10th March, Stephen Mozier from “Grounds for Learning” came to visit. He looked at our playground to see what we could do to make the most of the large space we have. There seems to be lots of possibilities for small changes so that we can make the edges and corners of our playground more interesting and fun. Stephen spoke to members of staff, parents and pupils from both the primary and the secondary. We hope to come up with a sensible and workable plan. Many thanks to all who were involved in Friday’s visit, special thanks to Miss Starr who did all the organising. Andy McKechnie was in school again today and, this time, P3/4 did “Dance Through the Ages”. We all had lots of fun and felt very motivated by Andy. He taught us some fun but simple dance moves and showed us how we can teach dances to others. There were opportunities not only to get involved in and learn some cool dances, but also to gain the confidence to teach them to our classmates. I know the P1/2s in particular really enjoyed showing their friends how it’s done.